At tonight’s commission meeting, the Bernalillo County Board of Commissioners approved a ban on certain fireworks in the unincorporated areas of the county. Bernalillo County- At tonight’s commission meeting, the Bernalillo County Board of Commissioners approved a ban on certain fireworks in the unincorporated areas of the county. “Recent rains do not change the fact that Bernalillo County is experiencing extreme drought conditions and the potential risk to life, property and the environment prompted the ban,” says Bernalillo County Fire Chief Frank Barka. The ban is effective immediately and will remain in force through July 10, 2014. The ban includes the sale and use of missile-type rockets, helicopters, aerial spinners, stick-type rockets and ground audible devices within the unincorporated areas of Bernalillo County. 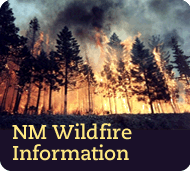 The restrictions ban the use of all fireworks in wildland areas which include unincorporated areas east of Louisiana Boulevard to the west face of the Sandia Mountains and from San Antonio north to the Sandia Indian Reservation; all the East Mountain area, north, south and east to the county line and portions of the unincorporated areas to include the Rio Grande bosque and wildland areas extending 1000 feet from the outer edge of the bosque. Also banned are the sale or use of display fireworks. The ban applies to the use of fireworks that shoot higher than 10 feet in the air, have a 6 foot or larger coverage area and fireworks that are louder than a cap gun. The use of ground and hand-held sparkling and smoke device type fireworks are limited to areas that are paved or barren. There should also be a readily accessible source of water (a bucket of water or a hose) for use to extinguish the fireworks. If an individual is caught with prohibited fireworks, a citation could be issued and the individual may have to appear in court. Violators could be fined up to $1000 and sentenced to less than one year in jail. If it is determined that the use of fireworks was the cause of a fire that damaged property, the responsible individual may be held liable for those damages. To report someone using illegal fireworks, call 798-7000 or to report a fire call 9-1-1.